Why is web mapping important? Comparable to Google Maps API or Bing maps API, but it’s free! Reference the library in your theme’s libraries.yml file. Include it in your theme’s info.yml file. 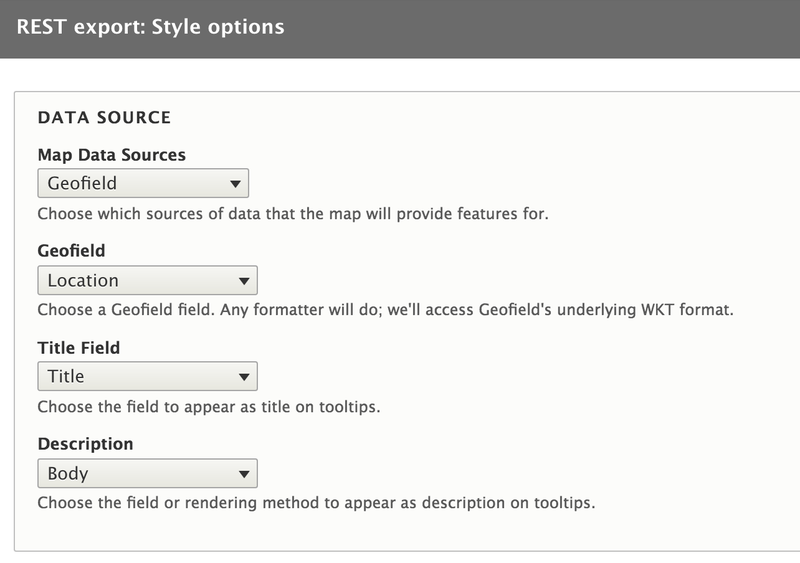 Create a content type with GeoField field. Create a View to act as your data end point. Set your REST export fields. Change the format to GeoJSON and add additional fields. Add the map container to a template file. Define a map container height. 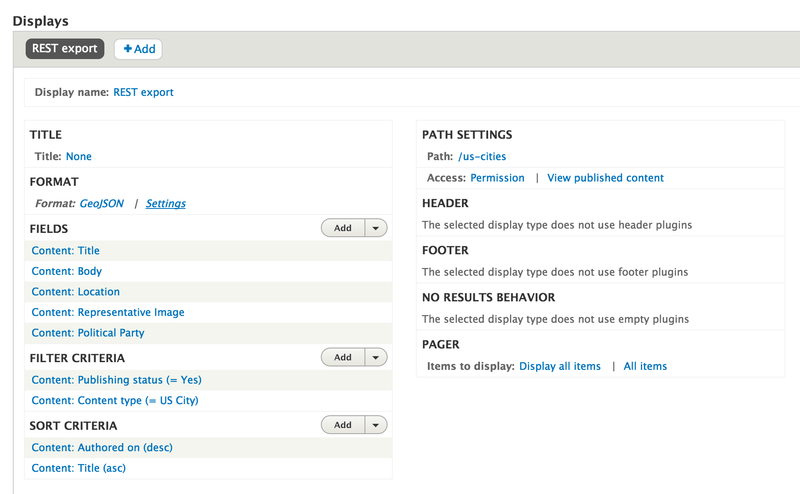 Define your map settings within your custom JS file. * Declare a layer variable for your basemap. * Declare your map variable. * Bind the baselayer to your map. Use the $.getJSON jQuery method to load our geoJSON view. * Fetch geoJSON data, then fit contents within viewing area before adding to the map. options to the L.geoJson layer. // Fit points to viewing area. // Add the events array to the map.